My daughter-in-law purchased a book I immediately fell in love with and just HAD to share! It's called The Color Monster: A Pop-Up Book of Feelings. It's important for children to learn to identify and express a wide range of feelings, while also understanding that others have feelings, too. Learning about feelings and emotions is part of developing positive self-esteem and better relationships with others. As a child's emotional intelligence grows, they are increasingly able to use their emotional information to guide their own thinking and behaviour; in other words, to calm themselves down. In my experience as a first grade teacher, I witnessed on a daily basis that those children who were able to name and understand their own feelings were able to handle the ups and downs of childhood with much more confidence and maturity than their peers who lacked that understanding. 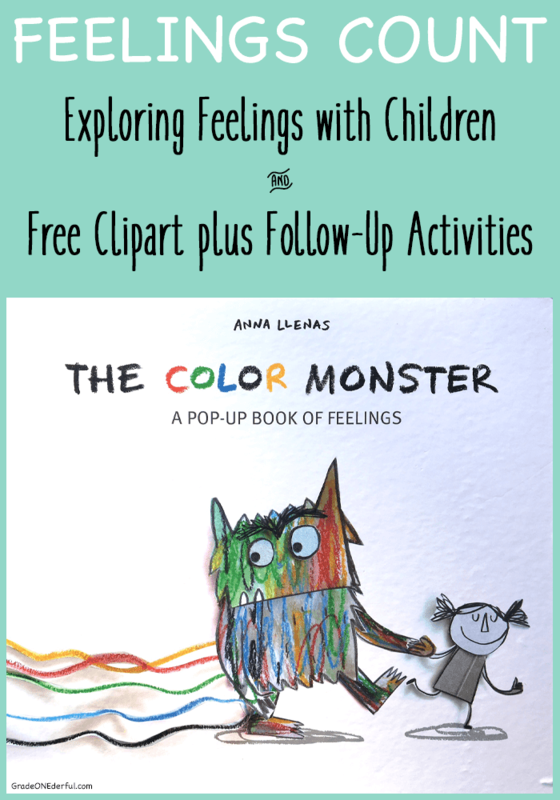 What I love about The Color Monster, aside from the perfectly charming monster, is that the author, Anna Llenas, names each emotion, describes it, and gives an example of how it might feel. She normalizes the emotions and doesn't label them as good or bad; they just ARE. She repeats this format in three simple sentences with each of the emotions: sadness, anger, fear, calmness, happiness. Here's an example from the sadness page. By the way, don't you just LOVE the beautiful pop-up? There's one on every page and they're all equally as gorgeous. It's gentle and blue like a rainy day. to cry or be alone. " This video by PBS Parents, describes how to create and use an emotions journal. It's suitable for older children dealing with difficult feelings. I love this sweet Storybots video that explains all about emotions. I highly recommend this one for K to 2. I love this idea from Powerful Mothering. Have the kids build some Lego characters and then use a dry erase pen to draw faces expressing a variety of emotions. These would be great for role-playing and would be easy to use in the classroom. They'd also come in super handy as a story-writing prompt. Happy is another fabulous book that can be used to explore emotions. I reviewed this book four years ago and included three more ideas for exploring feelings (two drawing lessons and a drama tableau). And here's a review I wrote about the Color Feeling Series. This also includes more great activities you can use with your own children or in the classroom. I couldn't resist making a little monster for you. Just click the image and he's all yours (both yellow and black and white). They're both about 5 1/2 inches tall. Thanks for the great ideas. I loved the look of the book, so I ran up to Chapters and was lucky to get their last copy - perfect for tomorrow afternoon. I love the way you add extras and links. 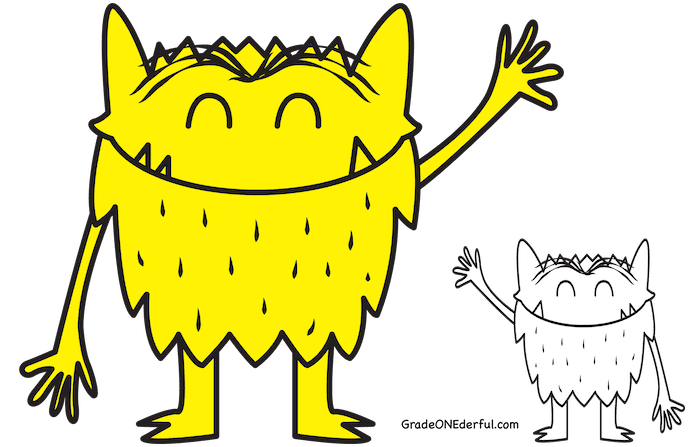 The little monster is cute! Glad you're enjoying your retirement. I think my first fall (maybe next fall) will be particularly sweet. Hi Debbie! Yay, glad you got the last one! Isn't it the cutest book? Retirement is a bit of an adjustment, but so far I'm really enjoying it. I just started a watercolour class, in the afternoon no less! Haha. Take care. Congratulations on your retirement! 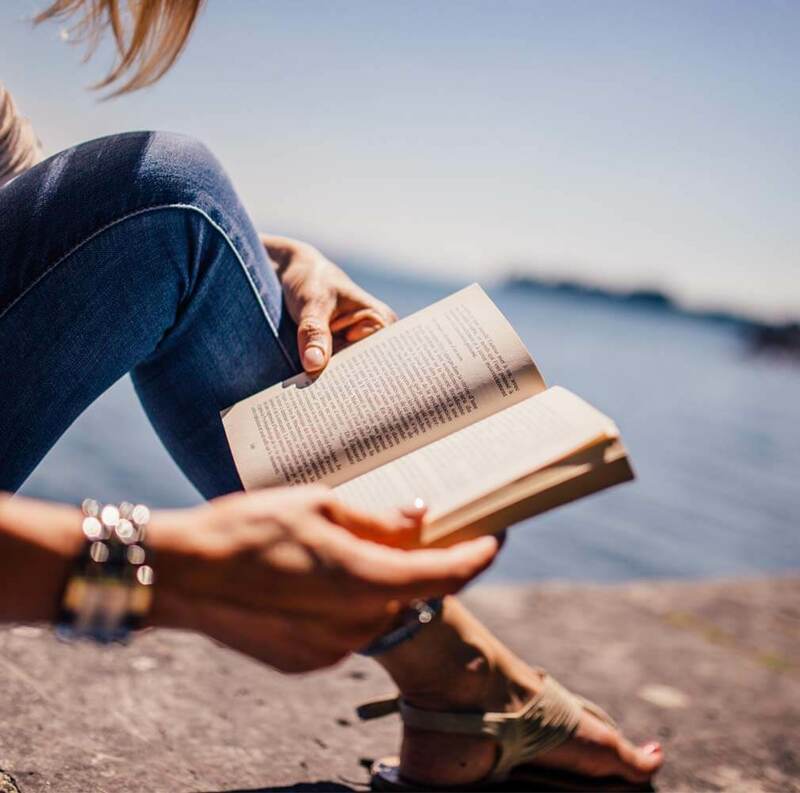 I have been way behind in my blog reading and had no idea! Love this story and your ideas!